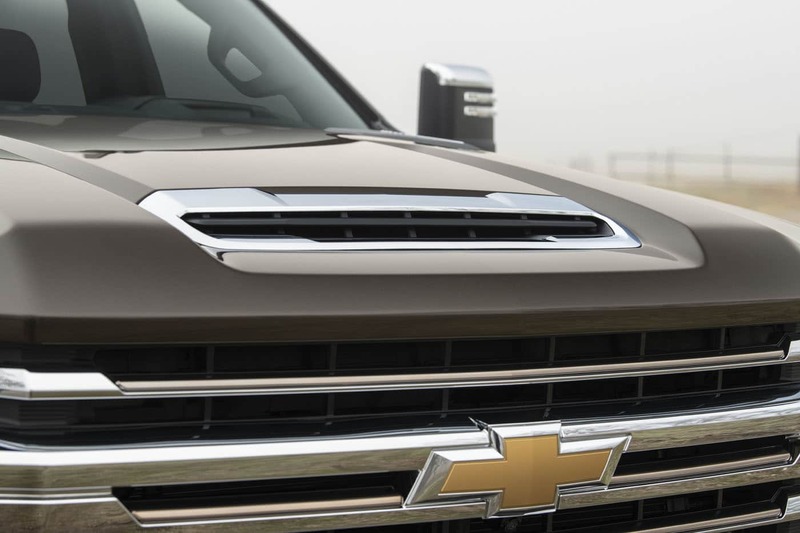 The first thing people noticed about the new Chevrolet Silverado HD was its weird grill. 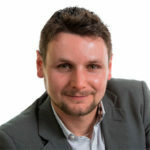 Now, they are shifting their focus on more tangible features. 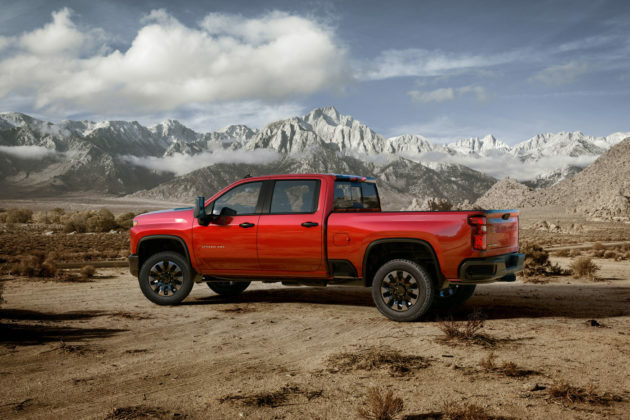 The 2020 Chevy Silverado HD may have a odd design with that blocky, in-your-face-but-not-in-the-right-way grille and front-end, but after its debut at the Chicago Auto Show that’s no longer the focus of attention. 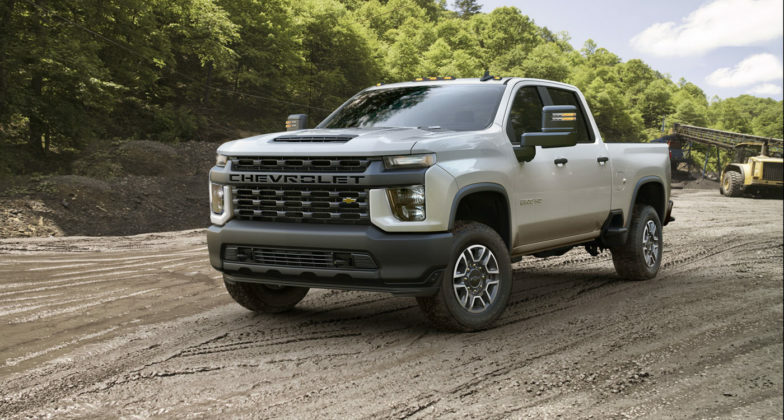 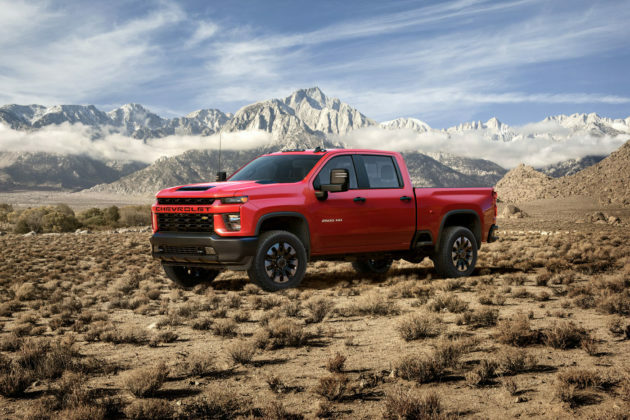 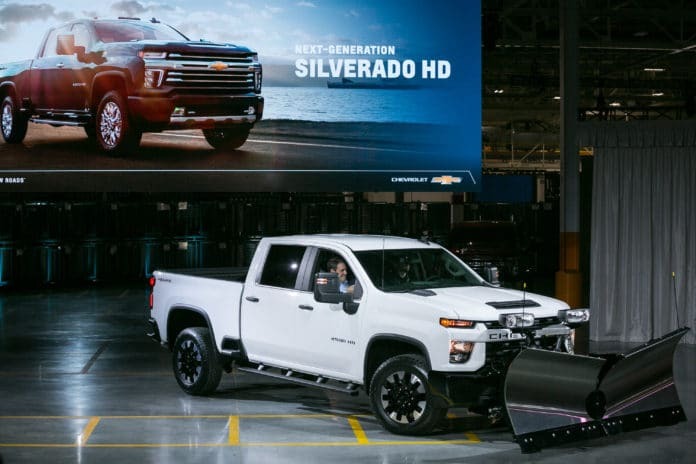 No, we’re now shifting our focus to the Chevy Silverado HD’s new V8 engine which we found out can tow 35,500 pounds, a whopping 52 percent more than the outgoing Silverado Heavy Duty. That’s remarkable considering the Duramax 6.6-liter turbodiesel V8 found under the hood hasn’t really changed. 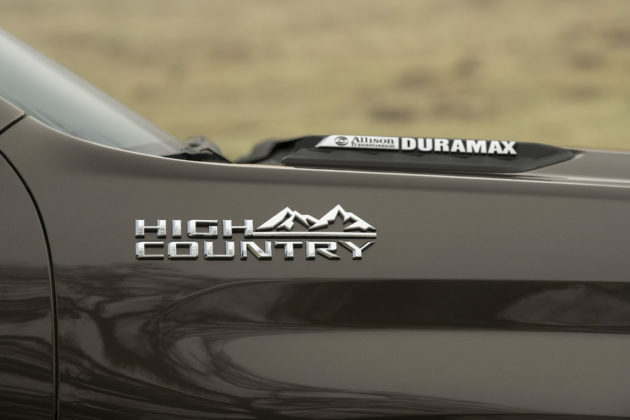 It still produces 445 horsepower and 910 pound-feet of torque, less than the new Ram HD’s ridiculous Cummins diesel rated at 1,000 pound-feet of torque. 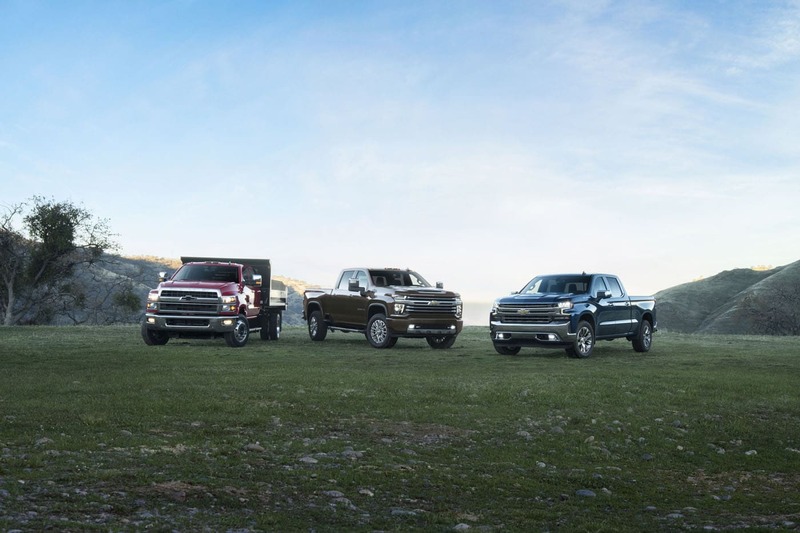 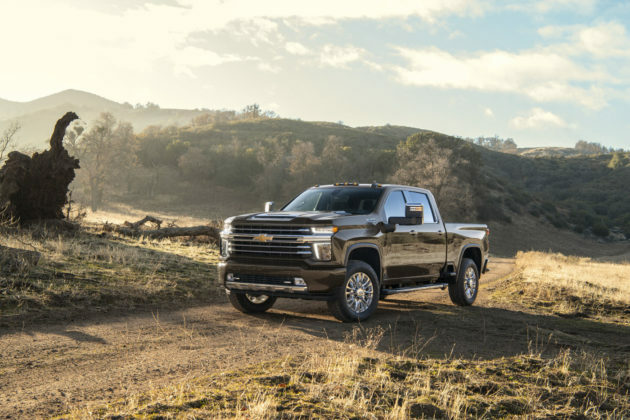 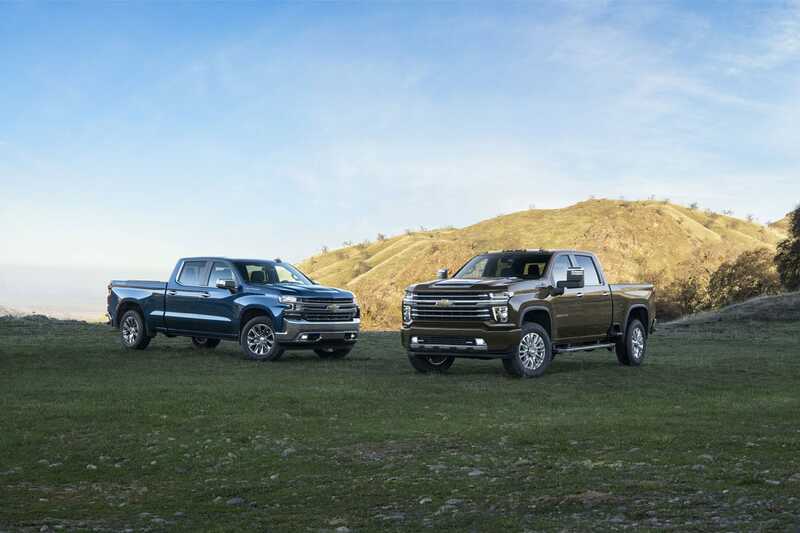 Still, the Silverado HD can tow 400 pounds more than the Ram HD, and that’s partly because the new-generation Chevy Silverado Heavy Duty is considerably bigger in every way. 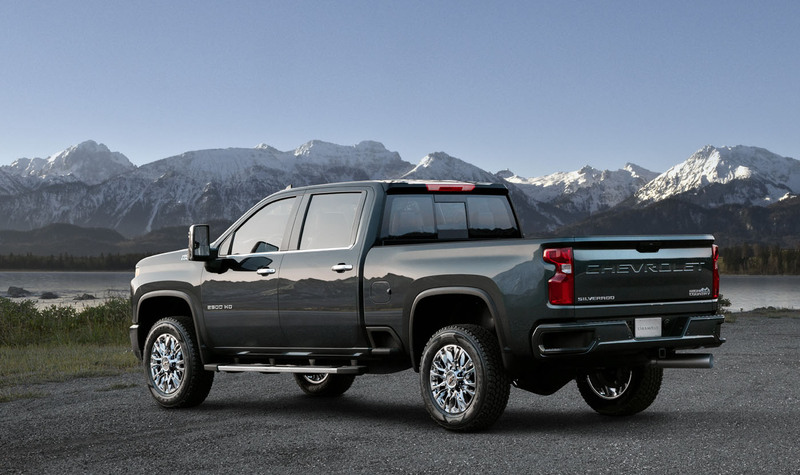 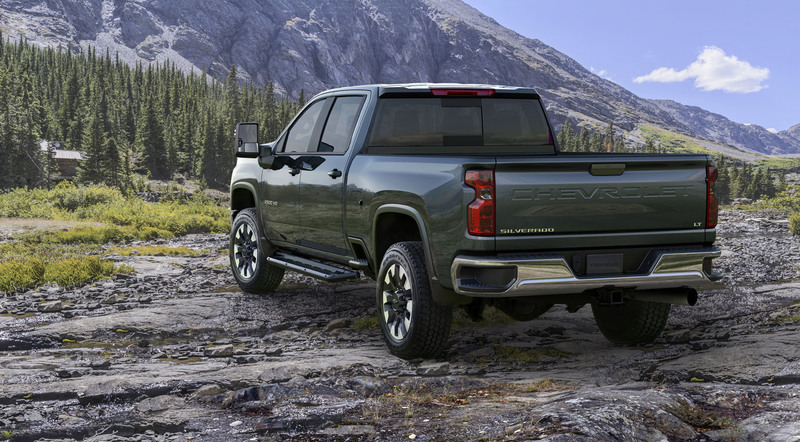 It’s taller, longer, and wider than the model it replaces, but that’s just part of the story and doesn’t explain why the Chevy can tow more with less power. 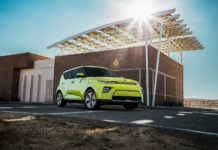 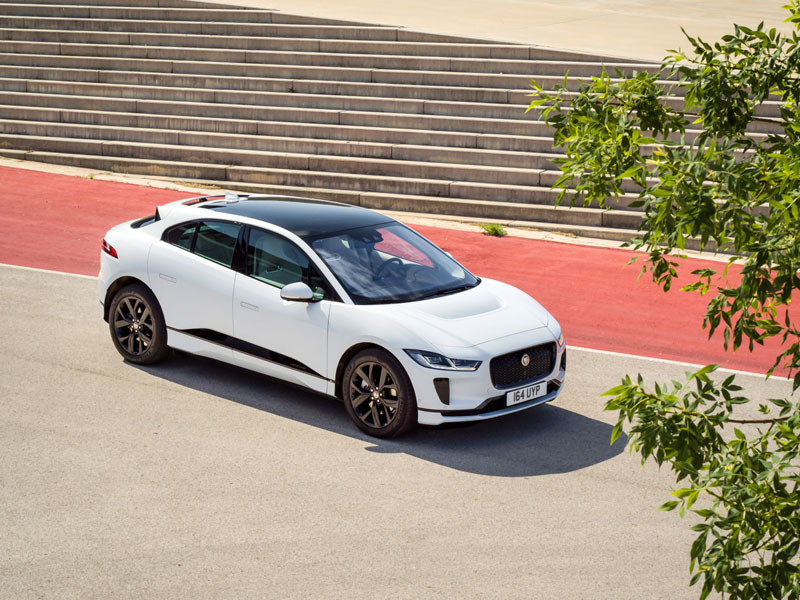 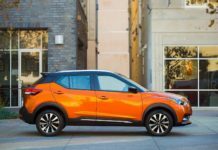 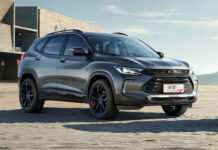 It also gets a brand-new 10-speed automatic Allison gearbox that has been tweaked and improved, a sturdier ladder frame and beefier suspension, and a more efficient cooling system. 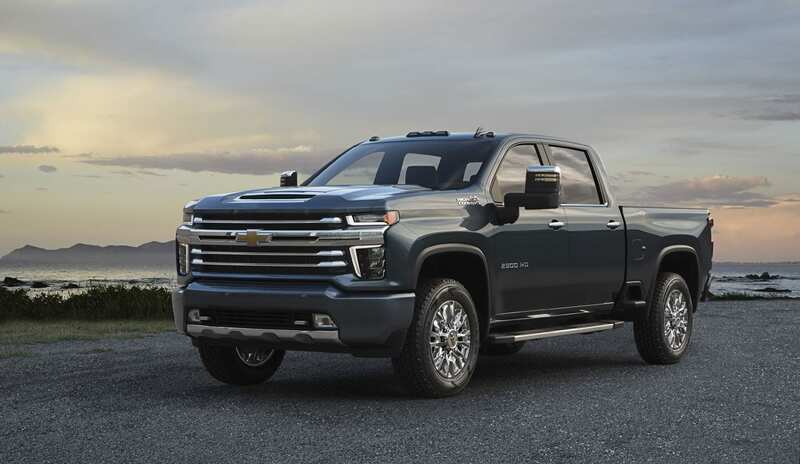 Two box lengths, 6’9″ and 8′ will be offered ans as always the heavy duty Chevy truck will be offered in 2500HD and 3500HD configurations. Bedsteps and cornersteps facilitate access to the box and owners will find a 120-volt outlet back there. 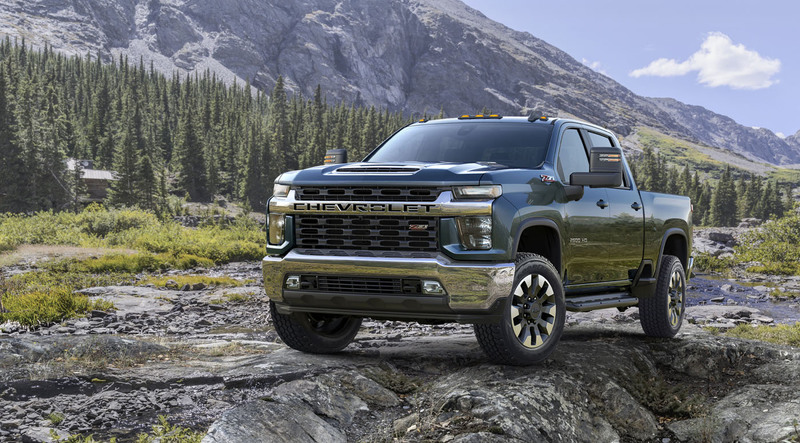 So the Duramax turbodiesel V8 can tow a bunch, but that’s not the whole story with the new 2020 Silverado HD. 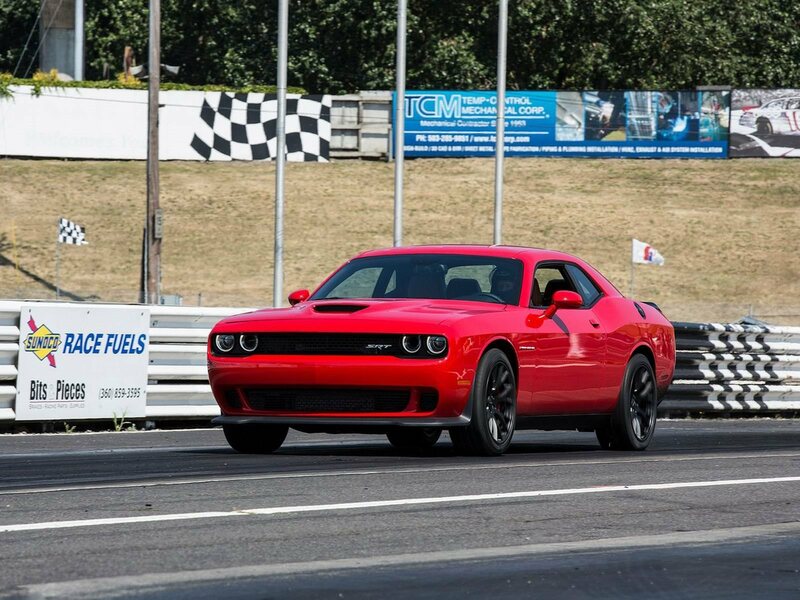 It also gets an improved 6.6-liter V8 engine with 401 horsepower and 464 pound-feet of torque. 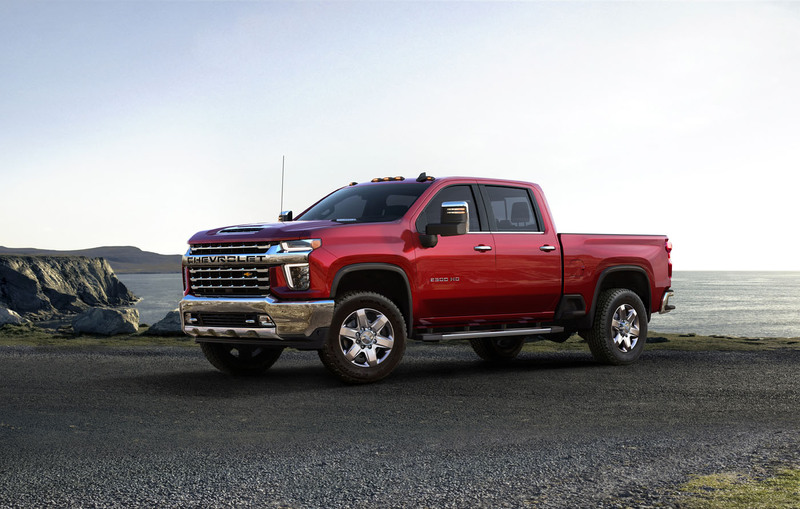 The V8 can tow 18 percent more than the previous 6.0-liter eight-cylinder engine. 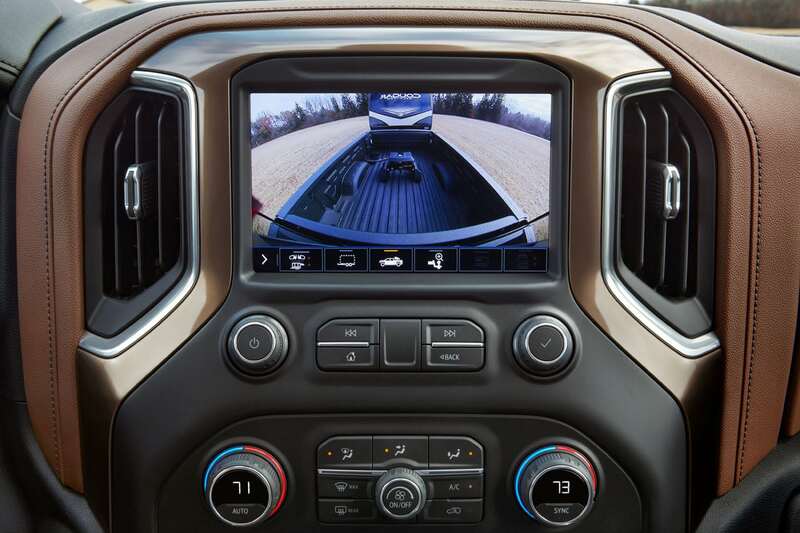 New features that improve trailering include a new 15-camera trailering system that provides a host of viewpoints to facilitate parking, backing up, and attaching the trailer. There’s even a transparent trailer rear-view camera which gives the driver a view of what’s behind the trailer as if it were invisible. 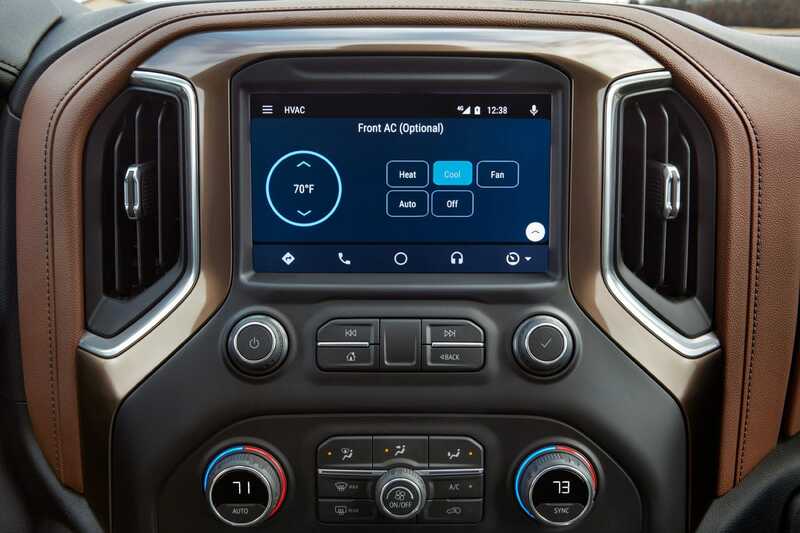 A trailering app featuring trailer light test, trailer electrical diagnostics, trailer tire pressure and temperature monitoring, maintenance reminders and pre-departure checklist is also included. 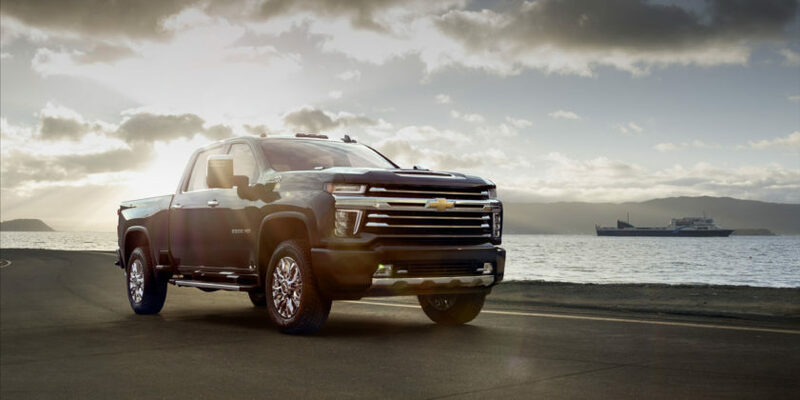 The 2020 Chevrolet Silverado HD will hit dealerships this summer. 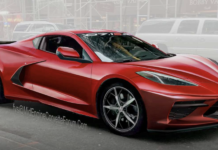 Pricing hasn’t been confirmed. Picture In Picture Side View, one of 15 camera views part of the 2020 Chevrolet Silverado HD Advanced Trailering System, combines the rear side view with the rear trailer accessory camera view. 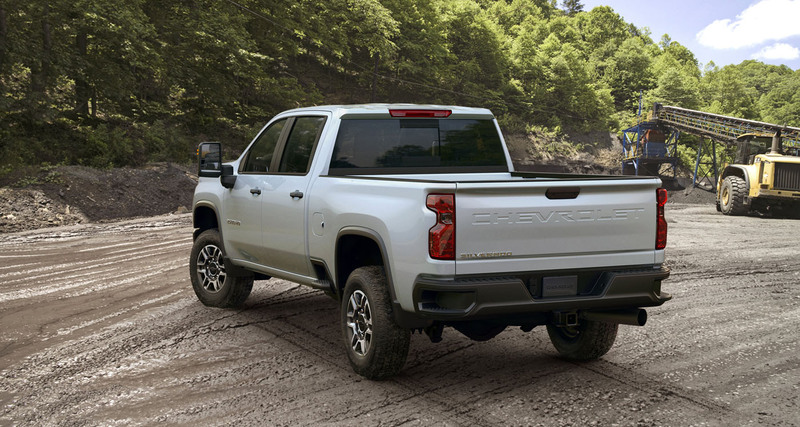 Rear Side View, one of 15 camera views part of the 2020 Chevrolet Silverado HD Advanced Trailering System, shows the rear sides of the vehicle to help allow the driver to view objects near the vehicle. 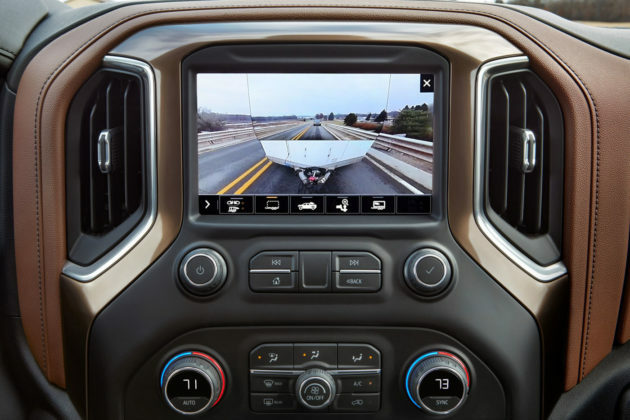 When a trailer is connected, a view is provided with a rearward looking split of the left and right side of the vehicle and trailer. 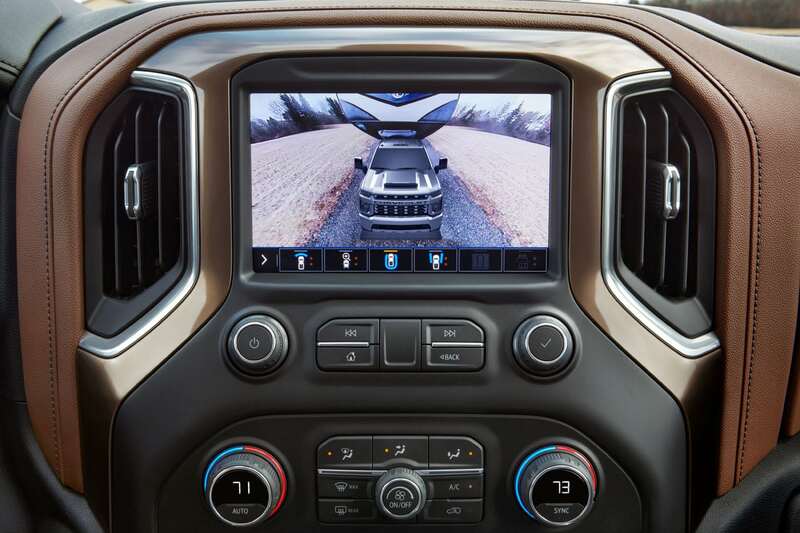 While driving forward, the view will automatically shift to the left or right based on the position of the trailer. In addition, when a trailer is connected and a turn signal is activated, a view will be provided that shows a rearward view of the left or right side of the vehicle and trailer based on which turn signal was activated. 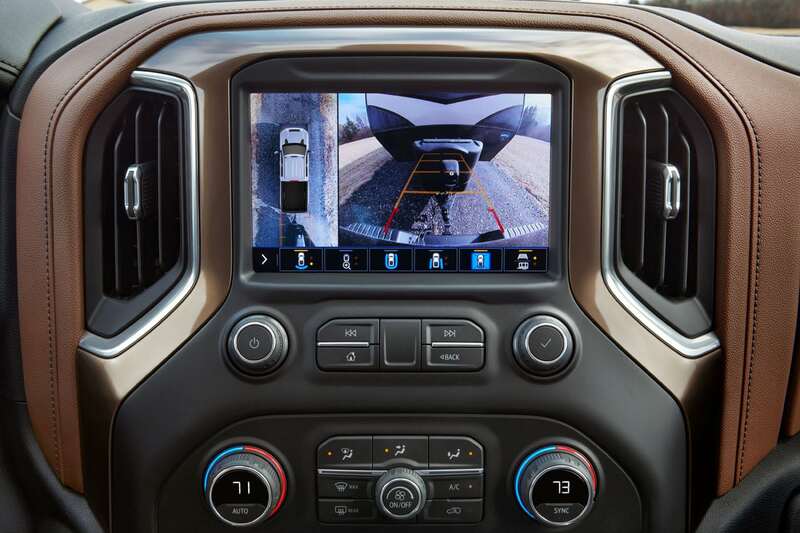 Bed View, one of 15 camera views part of the 2020 Chevrolet Silverado HD Advanced Trailering System, uses a camera integrated into the center high-mounted stop lamp you can see inside the bed to help with fifth wheel hitching and to check on cargo while driving. Rear Side View, one of 15 camera views part of the 2020 Silverado HD Advanced Trailering System, shows the rear sides of the vehicle to help allow the driver to view objects near the vehicle. 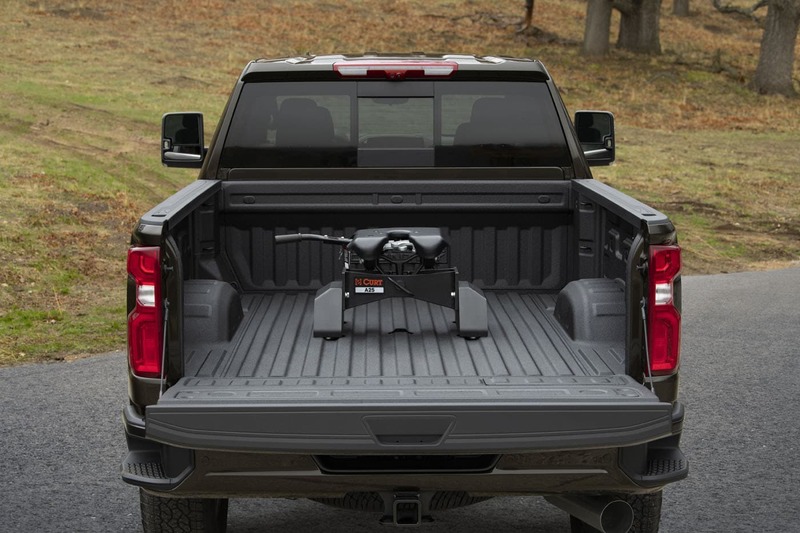 When a trailer is connected, a view is provided with a rearward looking split of the left and right side of the vehicle and trailer. 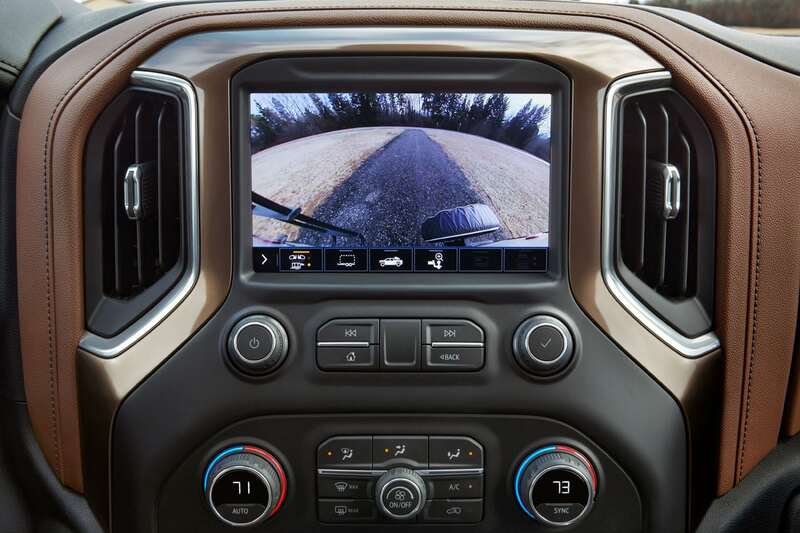 While driving forward, the view will automatically shift to the left or right based on the position of the trailer. In addition, when a trailer is connected and a turn signal is activated, a view will be provided that shows a rearward view of the left or right side of the vehicle and trailer based on which turn signal was activated. Bowl View, one of 15 camera views part of the 2020 Silverado HD Advanced Trailering System, provides a rear-facing 3D surround view, giving a sense of the height of objects surrounding the vehicle, useful for low-speed backing maneuvers. 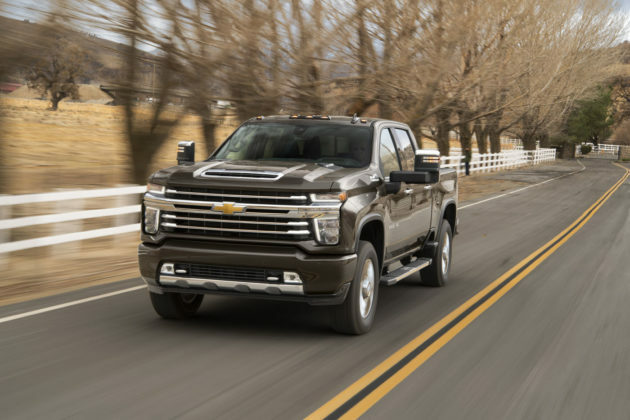 Transparent trailer view, one of 15 camera views part of the 2020 Silverado HD Advanced Trailering System, optimizes the driver’s view around the truck and compatible trailers to provide added confidence when towing. 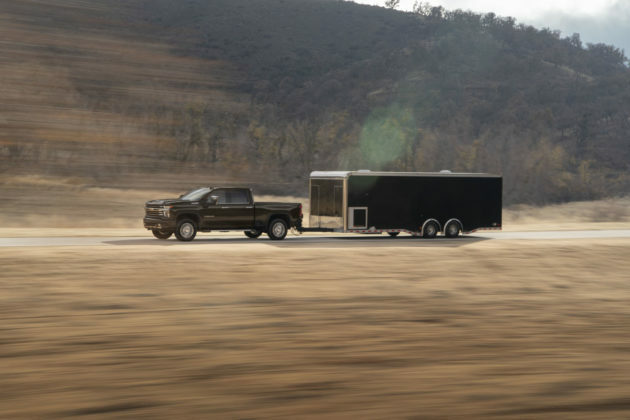 The revolutionary transparent trailer feature uses the tailgated-mounted camera and an available accessory camera mounted on the rear of the trailer. 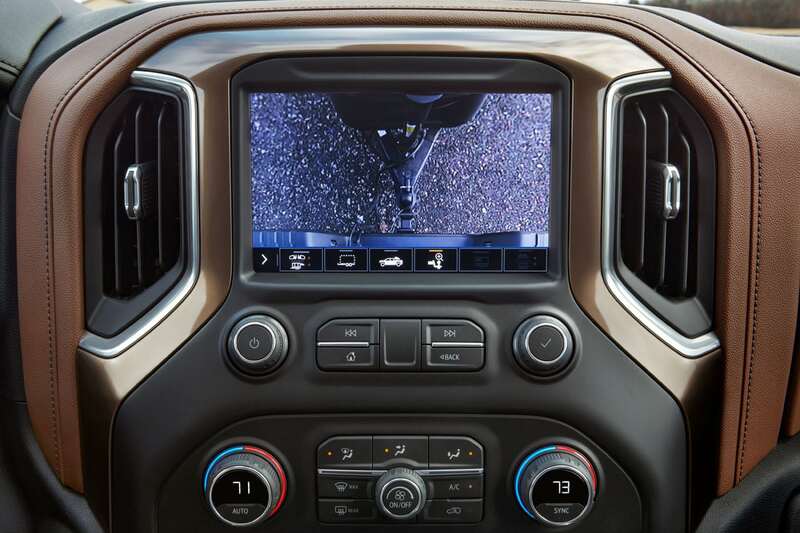 The resultant display allows the driver to virtually see through the trailer, a benefit when navigating parking lots, merging into traffic or when making a tight turn. 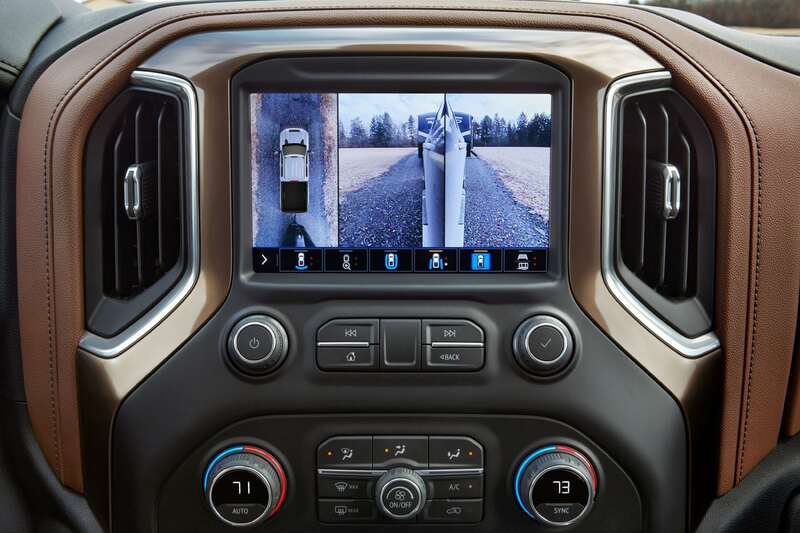 Rear Camera View, one of 15 camera views part of the 2020 Silverado HD Advanced Trailering System, provides added confidence when towing with available guidelines. 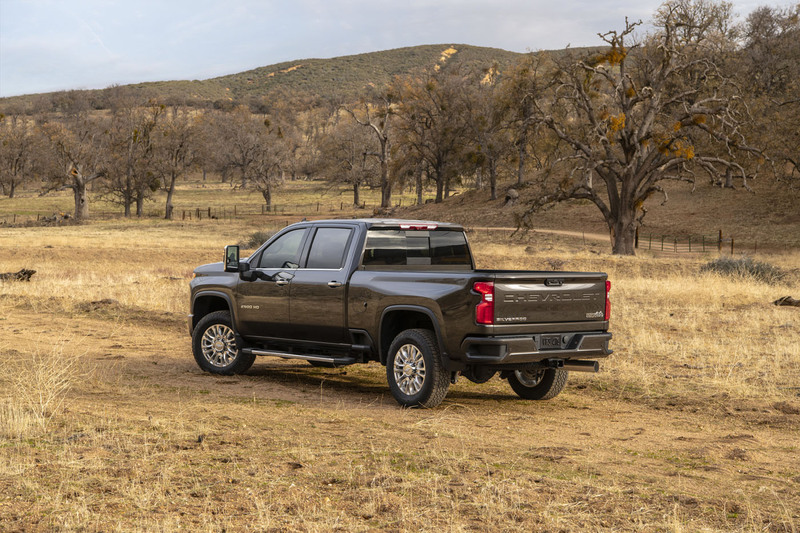 Hitch View, one of 15 camera views part of the 2020 Chevrolet Silverado HD Advanced Trailering System, provides a zoomed-in view of the receiver hitch for precise alignment when connecting to a trailer with a conventional hitch. Rear Trailer View, one of 15 camera views part of the 2020 Chevrolet Silverado HD Advanced Trailering System, uses an available auxiliary accessory camera (customer installed) mounted on the rear of the trailer to show vehicles or objects behind the trailer. 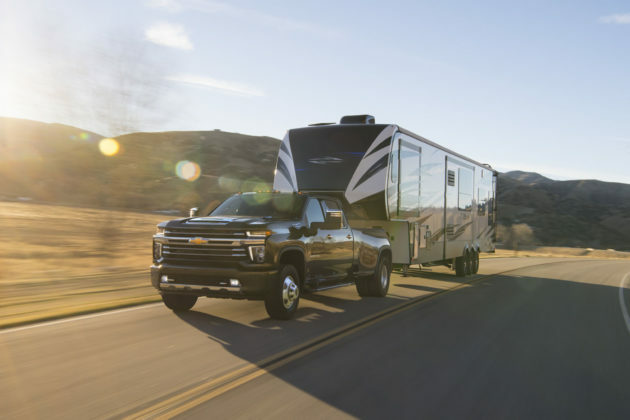 Smart trailer integration in partnership with ASA Electronics iN∙Command® control systems can potentially allow 2020 Chevrolet Silverado HD owners to monitor and control a range of smart systems, such as water tank levels and HVAC controls in recreational trailers equipped with the technology. *iNˑCommand® is provided by ASA Electronics and is designed to operate within 30 feet of the trailer. 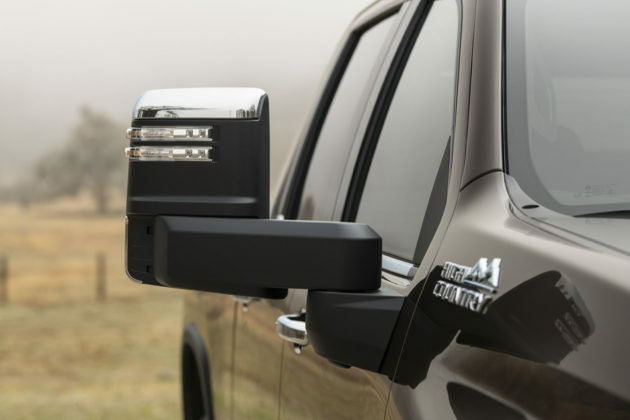 Works with trailers equipped with iNˑCommand® Control Systems with Global ConnectTM via Bluetooth connection. Control and monitoring functionality varies by trailer manufacturer, model, and installed options. The iNˑCommand® Control Systems feature is designed to work through the myChevrolet mobile app and will require an active service plan and acceptance of user terms. 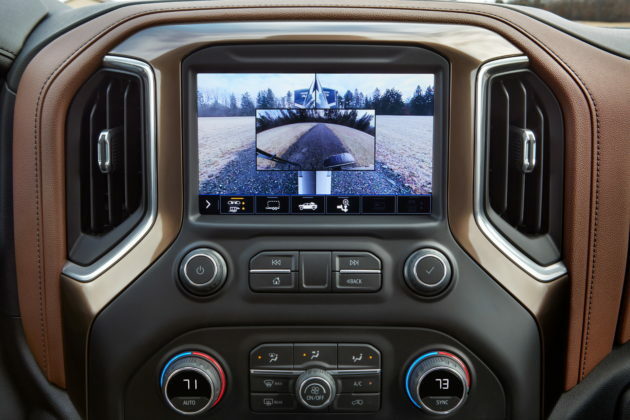 Actual iNˑCommand® functionality may vary with the smart trailer integration.